Delegates will discover how I2E is delivering valuable intelligence from text in a range of applications, as well as have an opportunity to network with the Linguamatics community. This year our Monday evening reception will be held at Corpus Christi College Old Combination Room. Founded in 1352, Corpus remains the only Oxbridge college to have been established by the townspeople. Elizabethan playwright Christopher Marlowe lived and studied at Corpus. The portrait that hangs on the far wall of the Old Combination Room, where the Linguamatics reception will be hosted, may be the only one in existence of Marlowe. 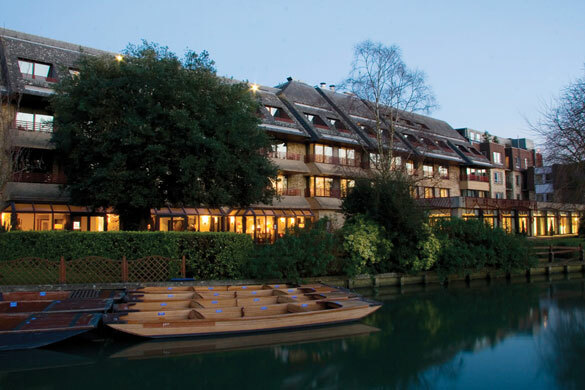 Our Tuesday evening dinner will be held at the Pembroke College Old Library. Pembroke College has had a library since 1351, shortly after its founding in 1347. The college is the third oldest college of the university and home to the first chapel designed by Sir Christopher Wren. "Both workshops were very useful. I enjoyed the interactive format"
"This is such a great meeting, it's so good to hear from other people all the different ways in which they're using I2E"
"Congrats on a great user meeting - the talks were quite excellent."